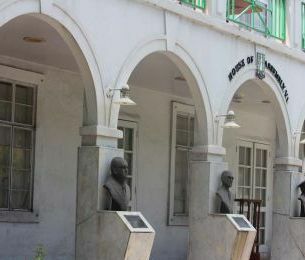 ROAD TOWN, Tortola, VI – Ahead of the Thursday, December 13, 2018, sitting of the Virgin Islands’ (VI) House of Assembly (HoA), Opposition Leader and Chairman of the Virgin Islands Party (VIP) Honourable Andrew A. Fahie (R1) has brought the integrity of the House into question, following its persistent late starts and recent attempt by the Premier to breach House protocols at an illegal sitting. “One of the situations that myself and others have kept stating [is] that the integrity of the House is falling, this is the highest law-making body and to get a quorum is a challenge, and a quorum is only seven people,” Hon Fahie said. The opposition leader was at the time speaking on an episode of ‘Honestly Speaking’ with host Mr Claude O. Skelton-Cline, during its November 22, 2018 broadcast, “the government had eleven persons and the opposition two, so any combination of seven the House can begin… once there for 10 AM,” he revealed. “I know for sure that two opposition members, 99.9 per cent of the times are there, ready to start, and there are some faithful government members that are there but not enough to make seven… and as a result, the House starts late,” Hon Fahie revealed. This he said, is an inconvenience, “as pastor [who] has to say the prayers he’s inconvenienced, everyone who has to do certain things with the House is inconvenienced… but the, government—when I say we have a dysfunctional government—people get angry,” the Opposition Leader posited. “The government has eleven members so they don’t even need to opposition to have a meeting seven of them could show up and start the meeting, however it is our duty, we were elected to the HoA, not to a Ministry… your first calling is to the House of Assembly,” he said.